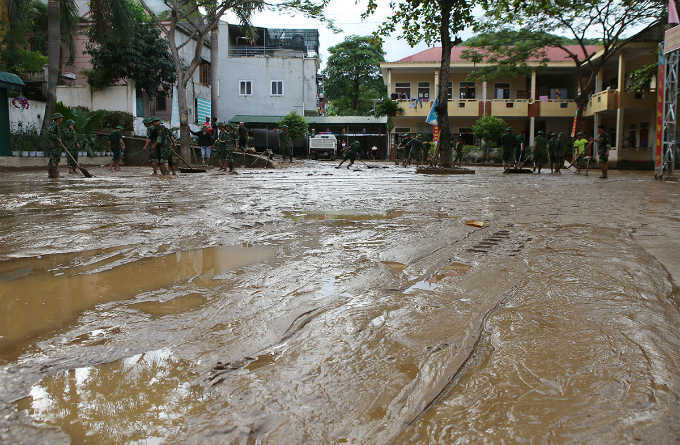 Roads, schools and other public spaces in Muong Xen Town, Nghe An Province are clogged with thick mud. 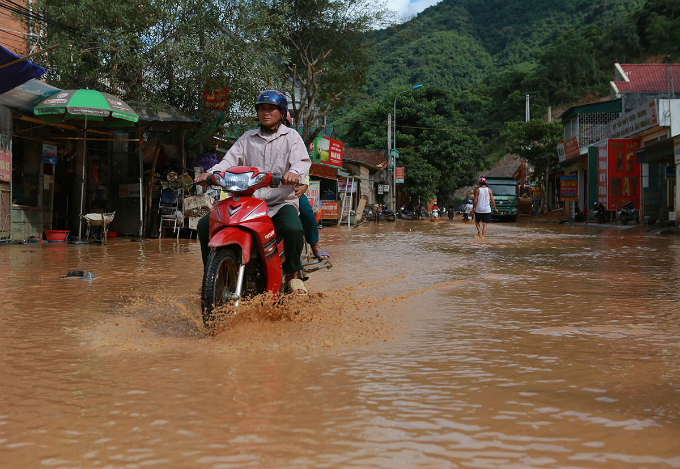 On Saturday, although the floodwaters triggered by storm Bebinca started receding, many roads leading to Muong Xen, a mountainous town in Ky Son District near the Laos border in Nghe An Province, were still submerged in muddy waters and sludge. Soldiers clear sludge from a primary school in the town, just 10 meters away from a river. 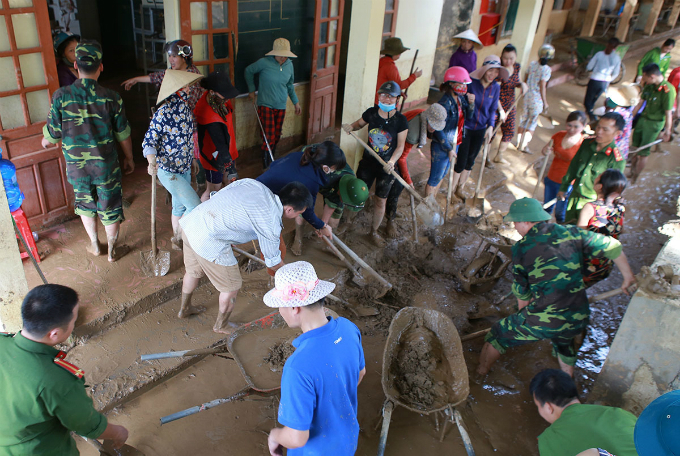 Soldiers and civilian volunteers work with local residents to remove mud from inside the schoolyard so that students can get back to classes soon. Vietnamese new school year will technically start next week. 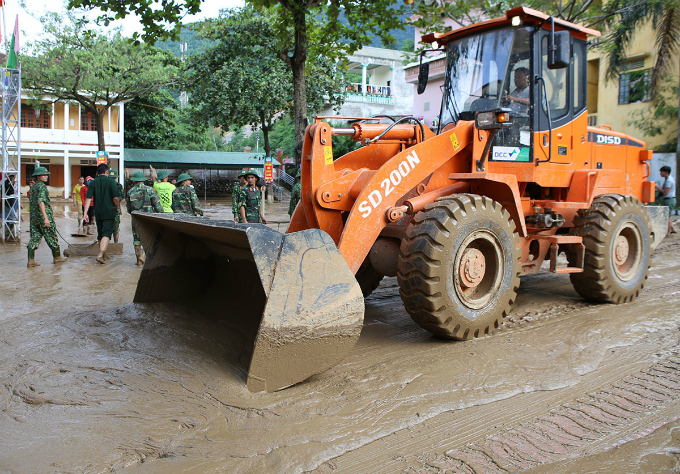 A bulldozer is deployed to remove mud left by the flash floods. Tables and chairs covered in sludge are stacked, to be cleaned later. Flood waters rose two meters high in this room and cleaning it up is not going to be easy. 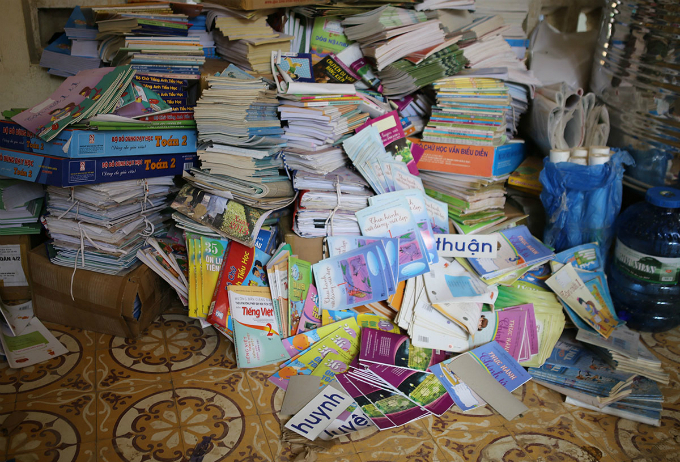 Text books were moved to the second floor of the primary school before it was flooded. Local authorities said they have dispatched around 1,000 police officers, army recruits and volunteers to flood-prone areas to help local residents overcome the aftermath of the floods. Outside the town's post office. Typhoon Bebinca turned into a tropical depression in Thanh Hoa Province as it made landfall on Friday morning, but it still brought heavy downpours and gusty winds lasting many hours starting Thursday. 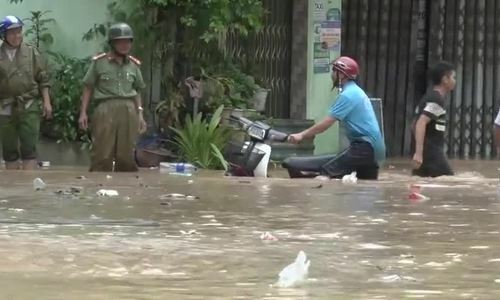 As of Saturday night, flash floods and landslides triggered by torrential rains had killed at least 8 people and left two others missing in Vietnam's north central and northern highlands regions, according to the Central Steering Committee on Natural Disaster Prevention and Control. 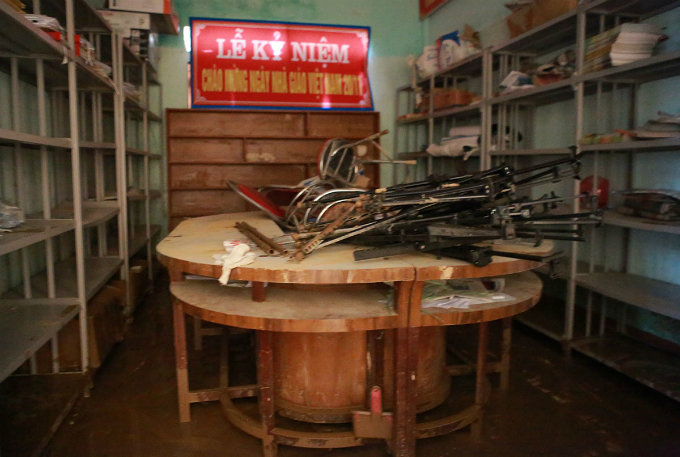 Nghe An was the worst hit province, with at least five people dead. Neighboring Thanh Hoa has lost one person, while two people have died in Son La. 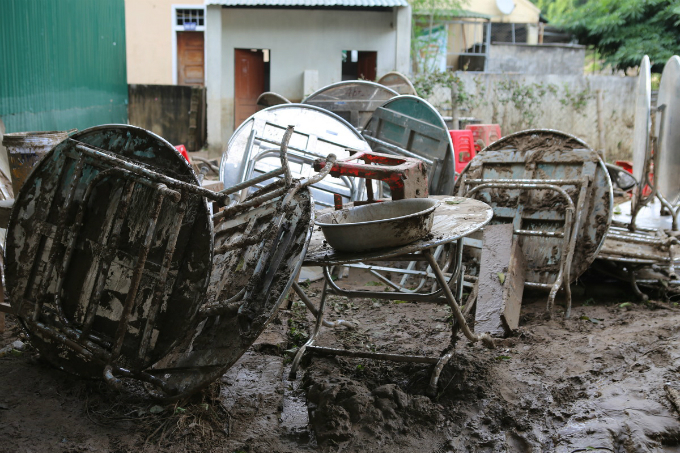 Many districts in Nghe An have suffered heavy rainfall of between 180 to 250 millimeters since Thursday night, leaving many mountainous villages submerged under as much as three meters of water. 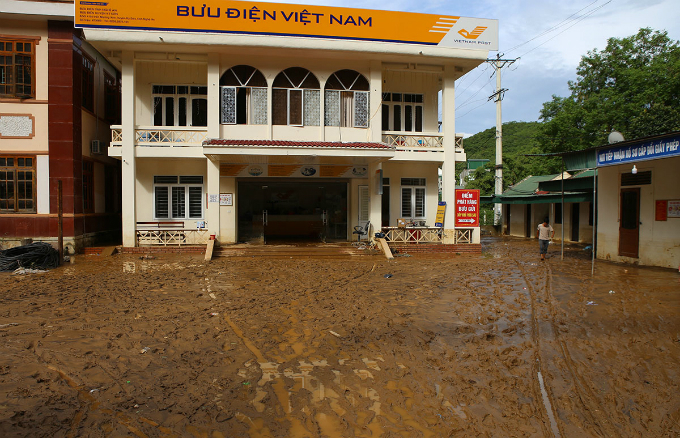 The General Statistics Office estimated damage at around VND60 trillion ($2.64 billion), 1.5 times the previous year’s figure.